At today’s Chamber of Commerce Board of Directors meeting, Joe Castilleja, Mark Hampton, and Bob Smith were inducted into the Chamber’s Hall of Honor. Each will have their photo on permanent display in Honors Hall for future generations to follow. They will be further honored at the Chamber’s Annual Banquet to be held January 26, 2018 in the New Braunfels Civic Convention Center. Castilleja, a career banker serving as the Senior Vice President of Community Banking at Frost Bank, was recently appointed to the Guadalupe Valley Electric Co-op Board, is an Opa with the Wurstfest Association and a board member, a board member with Volunteers in Medicine, member of the New Braunfels Rotary Club, Chair of the NBISD facilities committee, Chair of the Hispanic Mural Project, and has served on the boards of Communities in Schools, Hope Hospice, the Cancer Society of Comal County, the Heart Association of Comal County, the Comal ISD Business Advisory Group, and has served as Chair of the Board of the Greater New Braunfels Chamber of Commerce in 2015. Castilleja is a Blue Coat Ambassador and has served on multiple committees with the Chamber, has been very involved with city government, serving on the Zoning Board of Adjustments, Vice Chair of the Planning and Zoning Committee, a member of the inaugural City University Class of 2011, the 2013 Bond Advisory Committee, the Rec Center Advisory Committee, and a member of the City Comprehensive Plan Committee. Hampton, a REALTOR® with Century 21 Randall Morris & Associates, served on the Chamber’s Board of Directors for eight years, assuming the Chair of the Board position in 2014. He is a Blue Coat Ambassador for the Chamber and has served on many committees through the years. Hampton is also very active with his church, having served on their Board of Elders and coached the girls’ basketball team there. 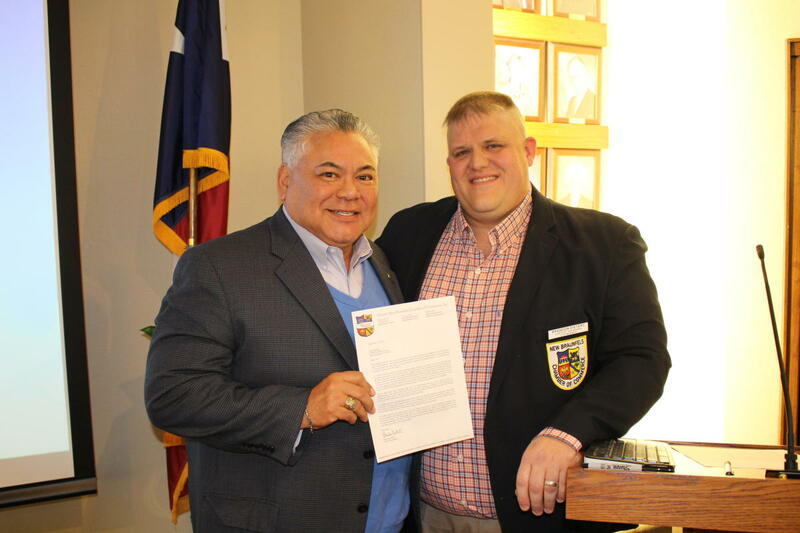 He served on the Board of Directors of the Comal County Habitat for Humanity, was a City of New Braunfels 2013 Bond Advisory Committee member, and a member of the 2015 City Noise Task Force as Vice Chair. A REALTOR® for 19 years, no one has been more active in local, state and national issues relating to real estate. Hampton has been recognized as the local REALTOR® of the Year in 2003, and served as a Director, Treasurer, Vice President and President of the local REALTOR® Association. He served on the Executive Board of the Texas Association of Realtors and was a Regional Vice President for four years. Hampton is a graduate of the very first Texas Realtors Leadership Program Class in 2004–2005. Hampton also served in the United States Air Force, the Air National Guard, and the Army National Guard. 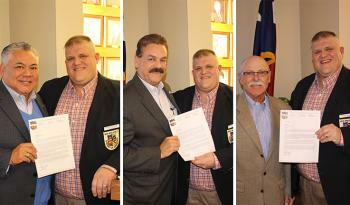 Smith’s civic activities have been many, including membership in the Chamber of Commerce and service on the Board of Directors, a past President as well as Opa Emeritas with the Wurstfest Association, on the Board of the United Way, Comal County MHMR, Downtown Association, MainStreet Board, and Boy Scouts of America. 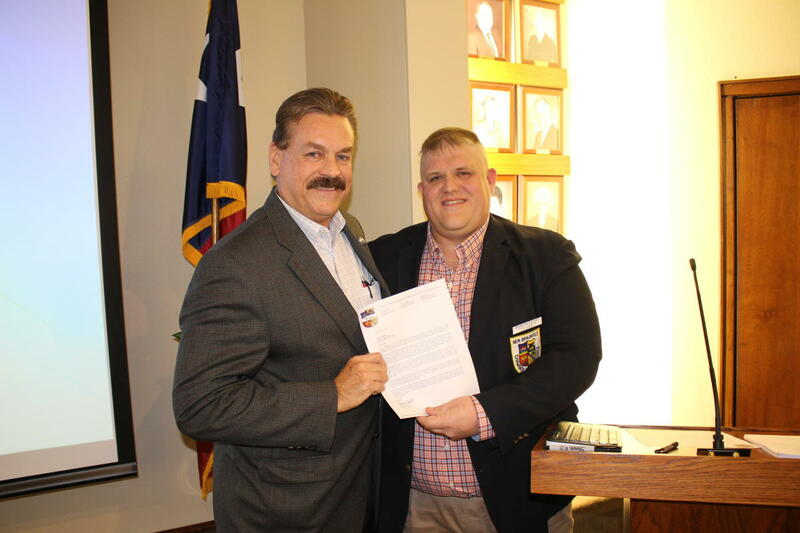 He also served on the Board of Directors of the New Braunfels Industrial Development Foundation as well as the Comal County Industrial Development Bond Authority. 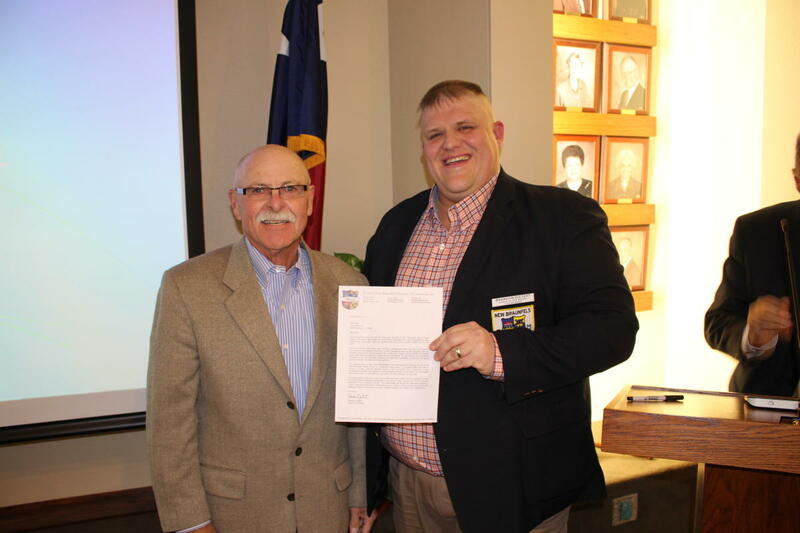 Smith currently serves on the Texas Preservation Trust Advisory Board, and served on the New Braunfels Utilities Board of Trustees for seven years. A graduate of the University of Florida, he had a 39-year banking career in this community. His mentorship in his profession produced many leaders for our community throughout the years and his employees were encouraged to participate and give back, following his example. Joe Castilleja’s photograph will be put on permanent display in Honors Hall as an example for future generations to follow. Mark Hampton’s photograph will be put on permanent display in Honors Hall as an example for future generations to follow. Bob Smith’s photograph will be put on permanent display in Honors Hall as an example for future generations to follow.